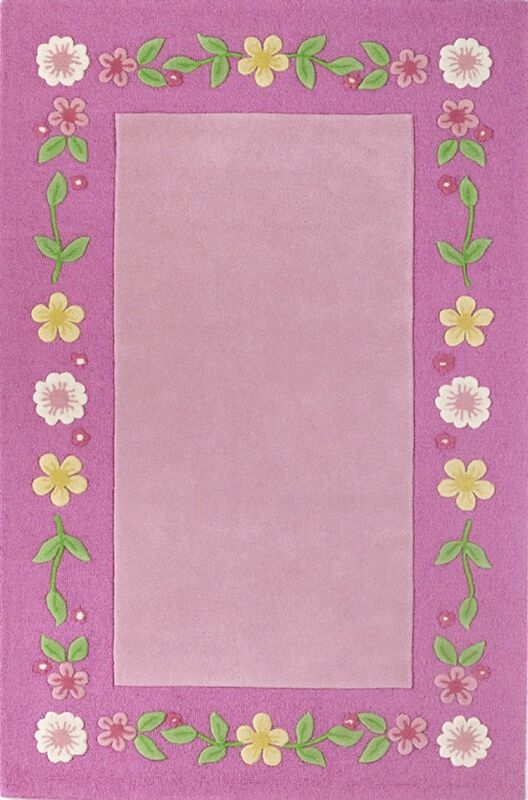 Kidding Around 0437 Pink Floral Fun 76 x 96. Hand-Tufted of 100% Wool with Cotton Backing. Made in India.